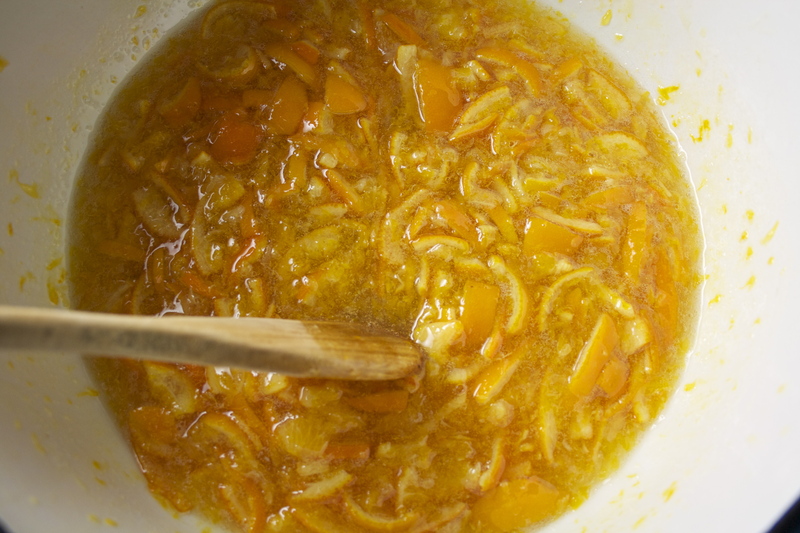 Marmalade sounds daunting (though not as daunting as croissants), but in truth is quite simple. As with anything, it just takes a bit of timing and care — and very few ingredients. And unless you’re making a huge batch, you don’t even need to truly can this: just use a sterilized, warm jar, label it, refrigerate it, and use it within two months. 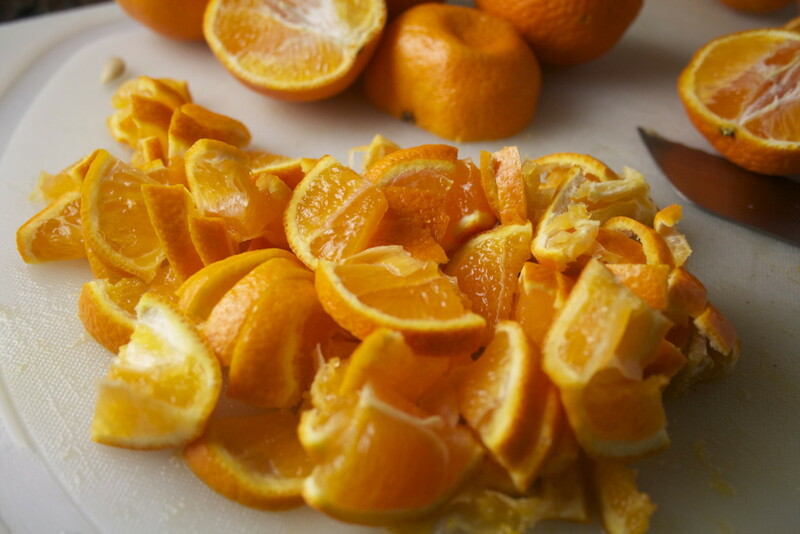 Clementines are washed and sliced finely — the size of your slice will determine how chunky your marmalade will be. Leave the peels on! There’s actually a decent amount of pectin in there, along with the seeds. We’ll be using both to thicken the marmalade. 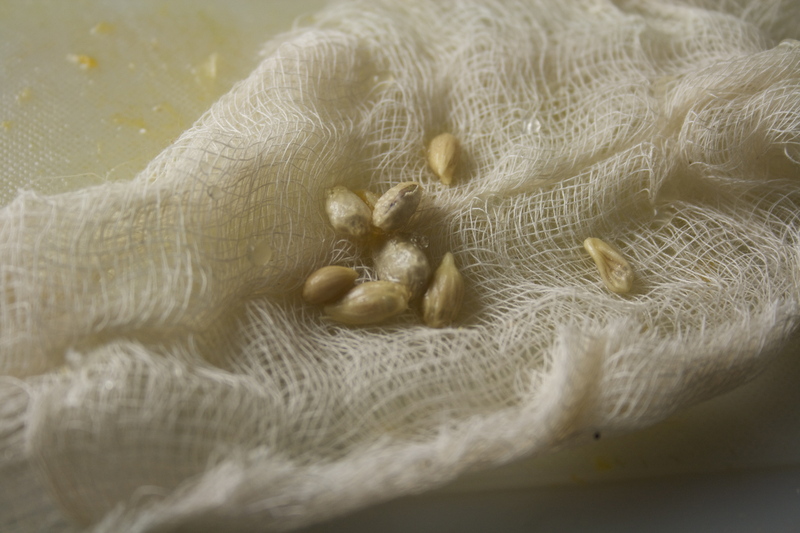 Seeds of both are reserved and placed in the center of a square of cheesecloth, which will be wrapped up and tied to the handle of your pot. In some weird twist of fate, these were the only seeds I got out of all my fruit. Clementines, lemon juice, and water are added to the pot and brought to a boil, and then simmered for an hour or so to soften the rind. 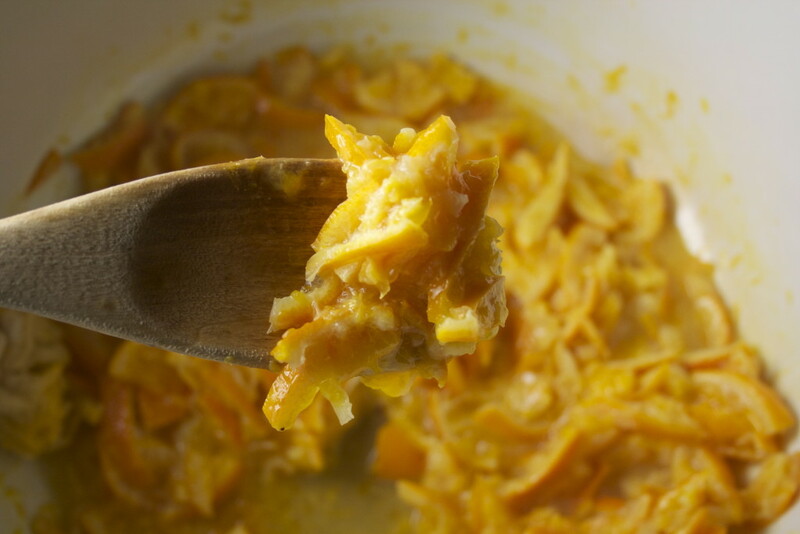 Once the rinds are tender, the cheesecloth is removed and juice (and pectin) is squeezed out into the pot. Sugar is poured in over low heat, and stirred well to dissolve. 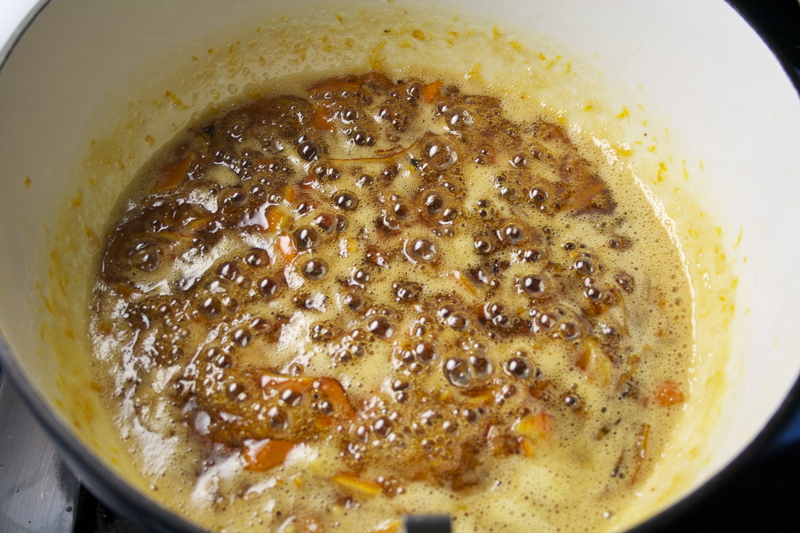 Here’s where it pays not to stray too far: once the sugar is dissolved, bring the marmalade to a boil, stirring occasionally, and heat it for about 5-10 minutes to what’s called the setting point, about 220 degrees fahrenheit. You can use a thermometer, but an even better way is to test it by placing a drop on a cold plate: refrigerate a saucer for 15 minutes, then place a drop or spoonful of marmalade on the saucer and refrigerate that for 5 minutes. Move the jam with a spoon or a finger — if it wrinkles, it’s set. I put all my faith into a candy thermometer, which in a perfect world should have worked, but before it even reached 190 degrees on the dial it started to burn. No worries. 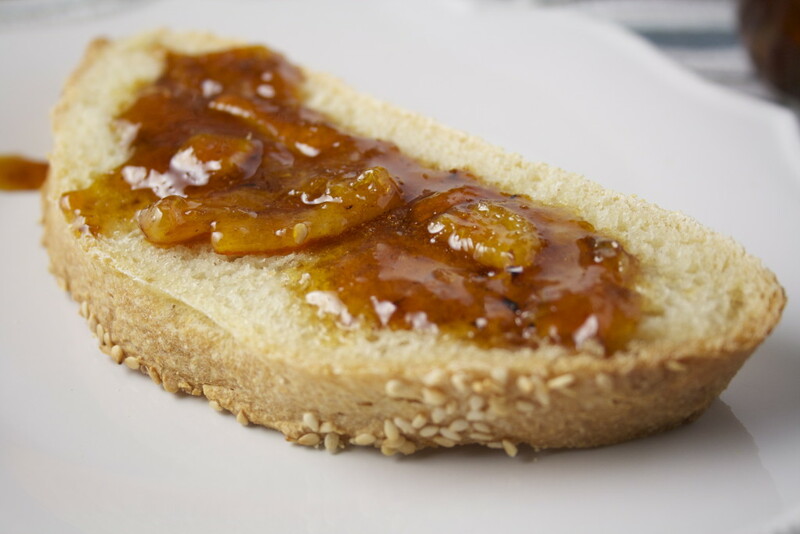 It’s a bit caramelized, and a bit thicker than I would have liked, but still delicious spread on toast or croissants and stirred into oatmeal or Greek yogurt. Winter can still be pretty sweet. 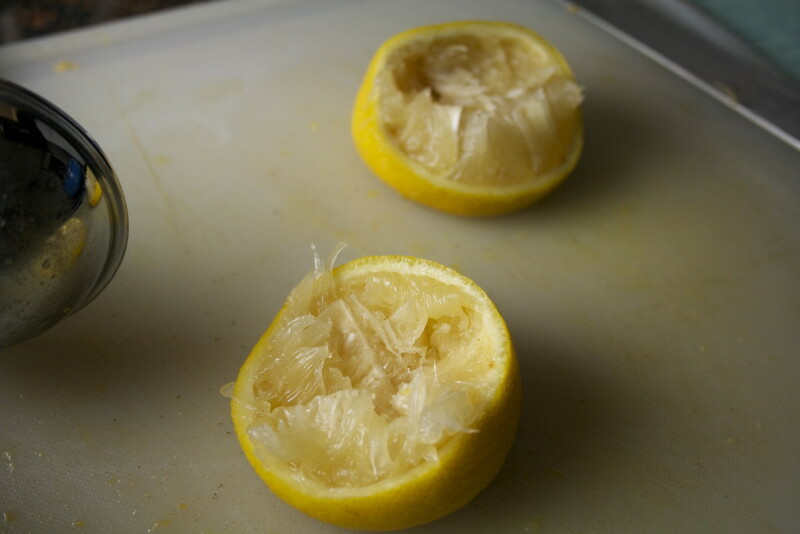 Place lemon and clementine seeds in the center of a square of cheesecloth and tie securely with cooking or butcher’s twine. Place in a heavy pot or dutch oven and tie the twine to the handle. 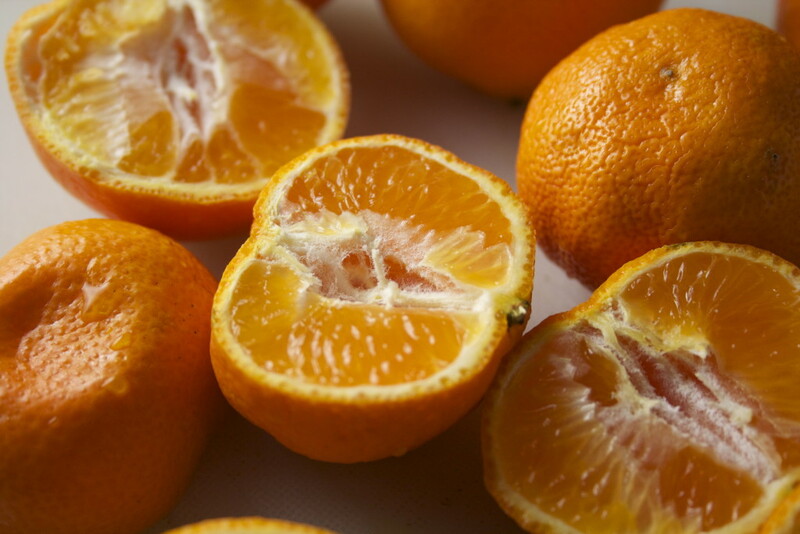 Place clementines, lemon juice, and water in the pot. Bring to a boil. Turn down the heat until the mixture is simmering, and simmer for 1 to 1 ½ hours. The rind should be tender. 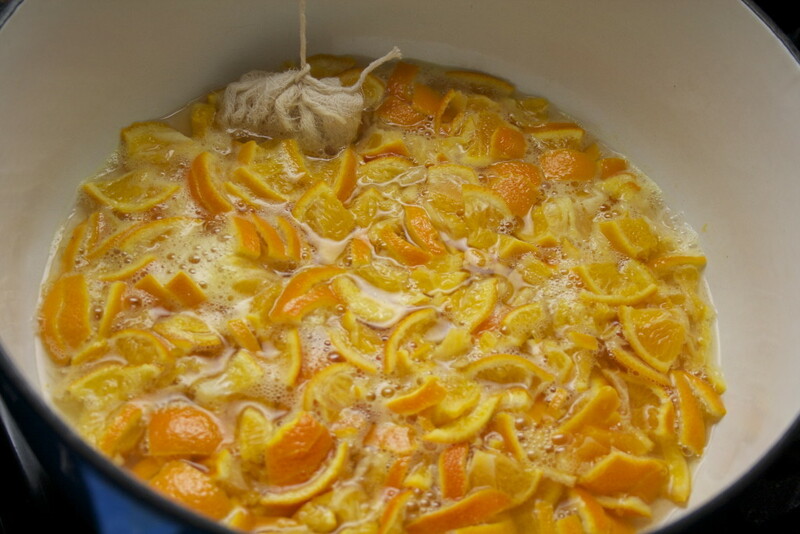 Remove the cheesecloth bundle from the pot and squeeze out any juice. I used the back of a spoon to press it against the side of the pot. Stir in the sugar over low heat. 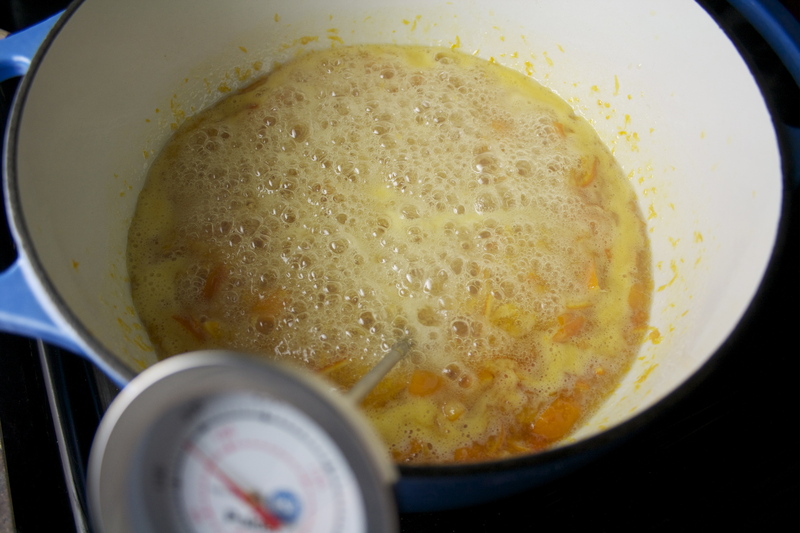 Once the sugar is fully dissolved, bring the mixture back up to a boil and cook, stirring occasionally, until the marmalade has reached the setting point — 220 degrees. Test by placing a drop on a cold saucer and plate. Refrigerate it for 5 minutes, then push it with a spoon or your finger. If it wrinkles, it has reached the setting point. Remove the pot from heat and cool for 15 minutes. 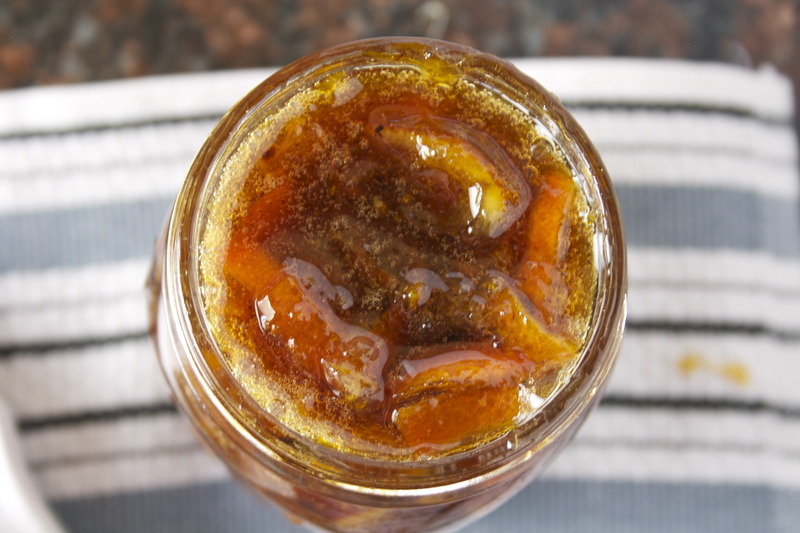 Pour the marmalade into warm, sterilized jars. Seal, label, and store once cool. 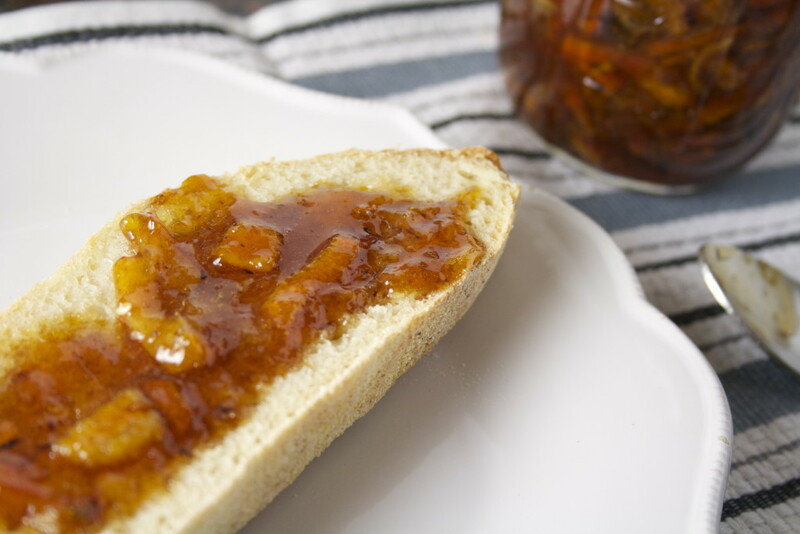 The marmalade can be refrigerated for up to two months.